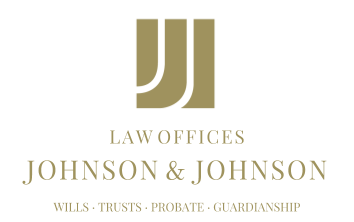 Estate planning can take a variety of forms, from creating a last will and testament to establishing a revocable or irrevocable trust and more. For some Nevada families, though, a less common but equally important aspect of planning for the future involves something called an adult guardianship or conservatorship. With the help of a lawyer, this sometimes complicated arrangement has the potential to solve a number of problems surrounding decisions for a loved one who does not have the capacity to care for him or herself. What exactly is an adult guardianship, and how does it differ from a conservatorship? In fact, the two terms are essentially interchangeable. They both refer to the process of a judge appointing an individual — known as a conservator — to make legal decisions on behalf of another person, either an incapacitated or incapable adult, or a minor child. This conservator or guardian can make decisions about living arrangements, medical and financial care and other important aspects of the person’s life. Conservatorships are appropriate when two conditions are met. The first is when a person is mentally or physically incapable of making important life decisions. The second would be if the individual doesn’t already have existing legal documents like a power of attorney or a living will that cover financial and personal matters. An attorney can provide assistance in filing all of the necessary formal legal paperwork. These documents will clearly outline the individual’s mental or physical conditions that demonstrate his or her inability to make sound decisions. A judge will hold a court hearing to give the individual in question a chance to contest the conservatorship if he or she chooses, and other family members will also be notified and given the change to file paperwork to either support or contest the proposal. The process of applying for adult guardianship may feel complex and daunting, but an experienced Nevada attorney can provide invaluable counsel throughout this important undertaking.